The idea that contemporary designs are solely hard-edged minimalistic glass boxes, as pristine as an art museum, is being revised by new expressions of the aesthetic tempered by climate, cultural preferences and changing lifestyle expectations. In fact, emerging contemporary design is likely to choreograph a convergence of hard and soft materials, hot and cold elements. PHOTO BY ZACK BALBER OF GINGER PHOTOGRAPHY INC.
“Modern architecture is booming in Philadelphia. If asked to do a new-construction, I tend to look for ways to warm it up,” explains Plachter. “I look for antique pieces to bring an element of soul to a newer space. Even if staying in a monochromatic color scheme, I will bring more organic textures. “Not only is the popular perception of contemporary design being challenged, but even the interpretation of theterm is up for debate. “Contemporary in the world of design has many meanings. To me, it is of the moment or current,” says Jeffers. Some see contemporary as part of a style evolution that begins with traditional or classic. And rather than a reference to design during a specific period, many believe modern plays into the concept of an abstraction of form and space. Frequently, the two terms are used interchangeably. Yet, no matter how the concept is framed or defined, both modern and contemporary are becoming preferred styles in many regions of the country. “It started in certain markets with open living spaces, a lot of glass, outdoor living, flat roofs and then caught fire in California. 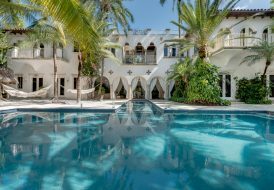 Initially, it was more of a coastal trend, but over the last couple of years I have seen it from North Carolina to Seattle,” says Danny Hertzberg, who, as a member of The Jills team at Coldwell Banker Residential Real Estate in Miami, witnessed first-hand the incubation of the style following the recession. 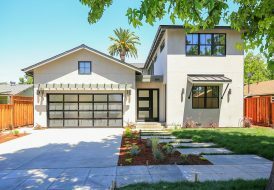 “In the last five years, contemporary has become a major, major trend, and it’s one of those housing trends that’s going to be here for a long time,” he adds. 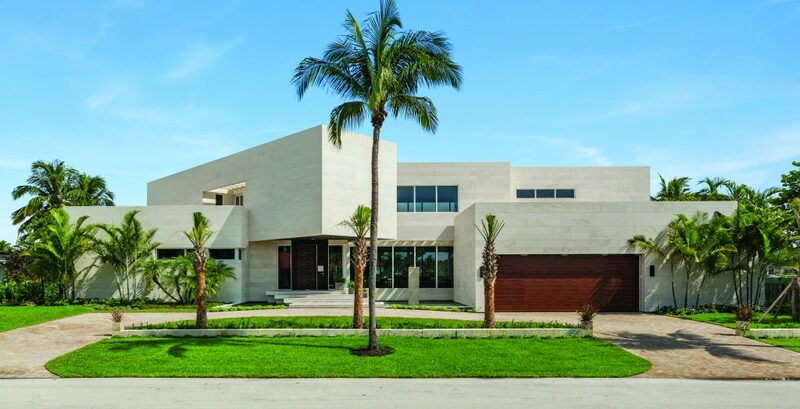 This is a dramatic change for an aesthetic formerly the sole provenance of notable architects commissioned to design properties at the highest price points. 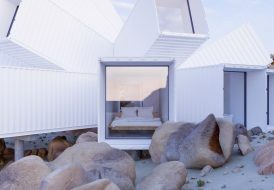 Now, innovative contemporary styles are filtering down to all aspects of residential architecture as consumers become more conscious of architecture and the possibilities that emerge from good design, explains architect Steven Dewan, senior principal at Bassenian Lagoni in Newport Beach, California. “We have just entered into a period where the looks of homes are changing. There is an attitude that some-thing different is desirable again,” he says. 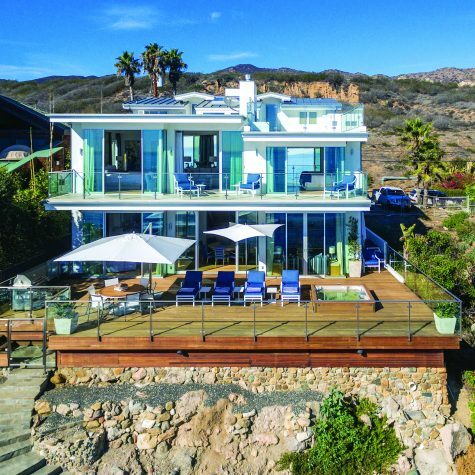 Like many other markets in California, the shift in design preferences in the last decade in Malibu has been toward contemporary. “If it’s a good contemporary, built in the last 10 years, it will sell very quickly. 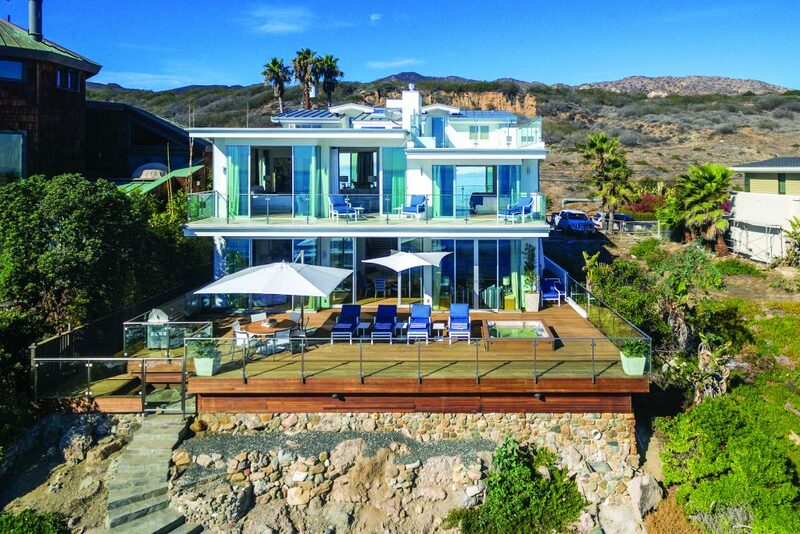 If it’s brand new construction with lotsof glass and big open spaces with an infinity pool, it will sell even faster and for top dollar,” says Sandro Dazzan, with Coldwell Banker Residential Brokerage’s Malibu Colony office. 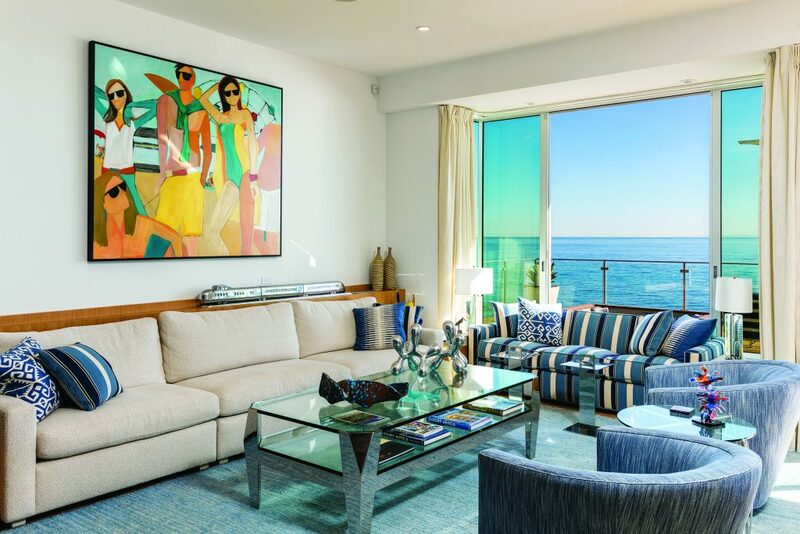 Particularly in-demand are single-level contemporaries, where living spaces stretch across one floor, and the basement is devoted to other amenity spaces, such as media rooms. Because Malibu zoning uses a formula based on the lot size to determine allowable square footage, Dazzan says capturing that addition-al space on the lower level is prized. Compared to West Hollywood and Beverly Hills, the contemporary look here tends to be warmer, using materials such as wood to play into the beach atmosphere. The combination of traditional facades with modern interiors is another expression of contemporary design and is often found in cities such as Chicago, Philadelphia or even in Aspen, where you could find a Victorian with a gutted modern interior. “Modern architecture opens up. It takes small spaces and makes them look larger because you are combining rooms and maximizing glazing. 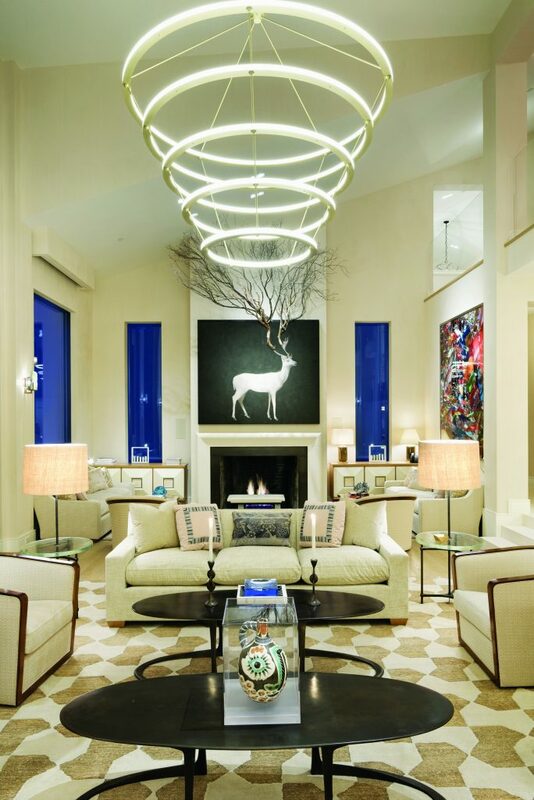 Maximizing light and transparency by default creates a larger feeling home,” says Dewan. “Modern is about floor plan, it’s about flow, it’s about light,” says Ames. 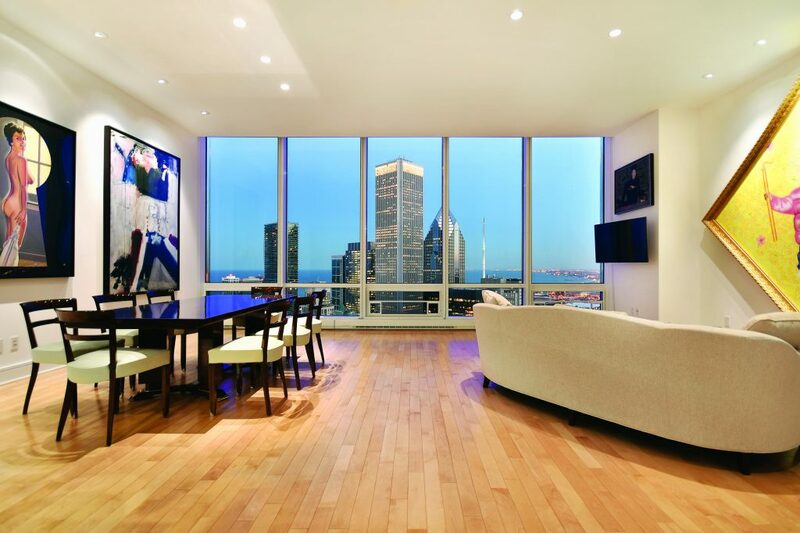 In Chicago, renovated properties often mix classic façades with contemporary, updated interiors. There is value in the original exterior, since the footprint often allows for a larger house. “Because of the number of historic homes in Philadelphia, many clients reach out because they love the historic bones of the home, but they are looking to create a new, more modern look in those homes,” says Plachter. Twenty years ago, log timbers and river rocks were favored materials, and they were also representative of the environment. Now, wood and stone still bring a textural component and connection with nature, but the overall look is more streamlined. Timbers are more refined. Stone is widely used, but the product is often custom fabricated to achieve a specific effect often in flat or dry stack installations. 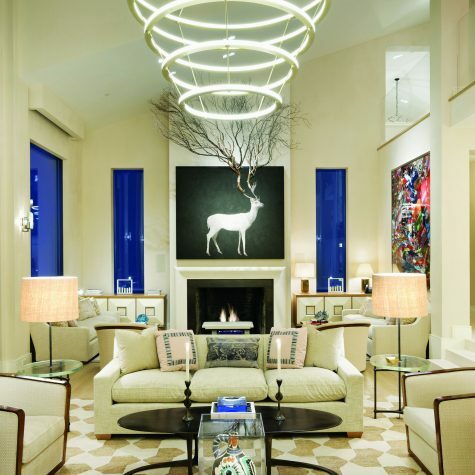 In markets where contemporary doesn’t dominate, traditional styles and interiors are changing. “Even in houses where people want a more traditional style, it still has a new twist, so it looks different than houses that were built 10 or 15 years ago,” says Sutton. 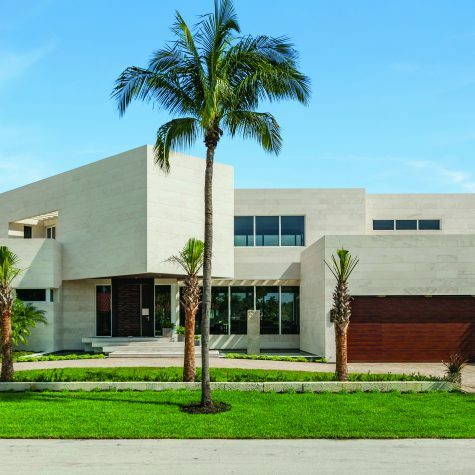 “Clients are moving away from traditional heavy materials, desiring symmetry, indoor-outdoor living with more glass, plain surfaces versus patterned granite, with color added in accessories. Many are travelers/collectors and mix their antiques with the modern and bring in character. With California water shortages etc., cactus/desert plants are replacing boxwoods and style is unique,” states Diana Miner with Coldwell Banker Residential Brokerage in Newport Beach. An indoor-outdoor connection is a modern signature and not restricted to temperate climates. In luxury enclaves surrounding Phoenix, Toni Stewart of Coldwell Banker Residential Brokerage in Scottsdale is seeing new approaches to blending indoor and out-door spaces using the same or coordinating flooring, a mix of covered and open areas and an equally high level of furnishings outdoors. “It’s one consistent look from the great room looking out to the pool,” paired with sculptural desert landscaping, she says. Big windows and telescoping or stacking doors addanother dimension. “Modern is about the windows and how it incorporates exterior environment into the living spaces,” shares Bruce Birkeland with Coldwell Banker Burnet in Minneapolis, a city with a long tradi-tion of contemporary architecture. 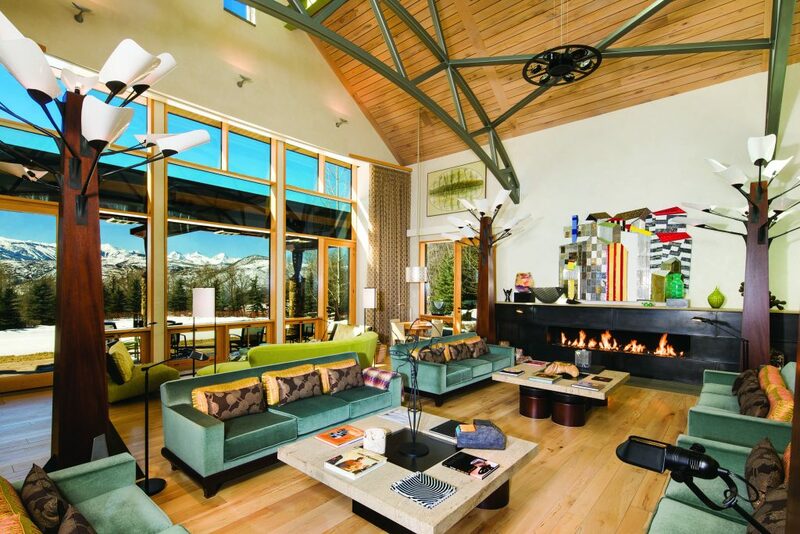 For residential prop-erties, he says, “there has been a surge in modern architecture in the last few decades. We have a number of listings that have the timeless quality of the inter-national style.” Here, as in other regions, Frank Lloyd Wright’s style continues to influence current design. Still, for the market overall, new homes lean toward a transitional style with cleaner lines and streamlined interiors, observes Ian Peterson also with Coldwell Banker Burnet. Expect to see contemporary and modern be-come even more nuanced as the aesthetic evolves. “You can see differences between a house built three years ago and one built in 2017. 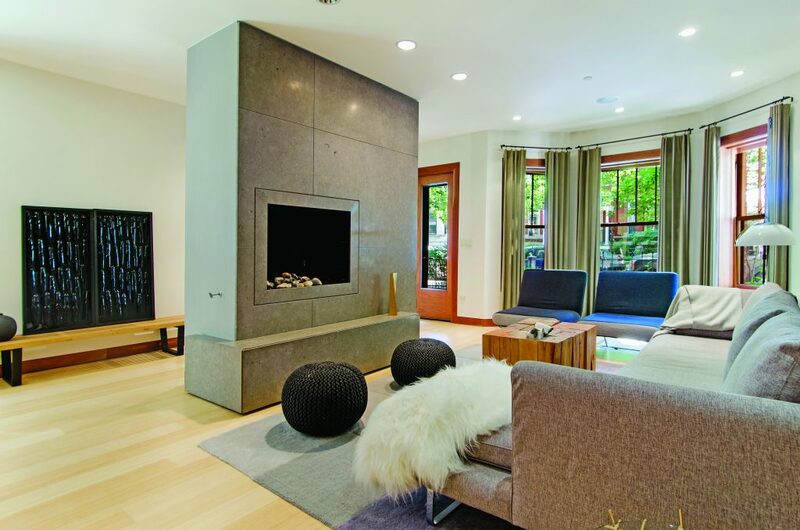 People are combining teak, stone and wood to soften the design,” says Hertzberg. 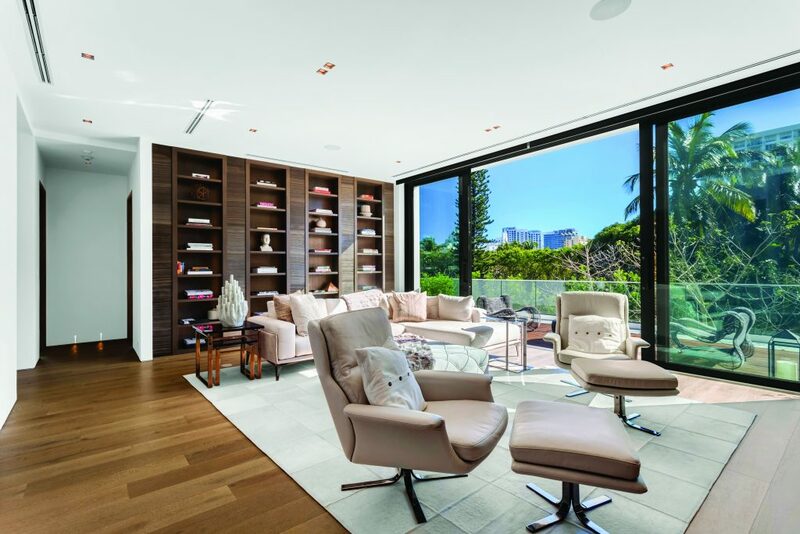 “There are a lot of contemporary condos and houses with unique paneling —a lot of walnut, walnut dyed and bleached —on the walls and ceiling, but the trim is very minimal.” In addition to various woods, contemporary interiors, particularly in the ultra price range, use a range of materials, including leather and metals. “Finishes keep pushing the envelope, and we are constantly experimenting,” says Mantione. Also, what is considered current depends on price. An affordable contemporary might be a prairie de-sign shaped with modern materials and open concept interiors. As it gets more expensive, it becomes more personalized with timely versions of flooring to Calacutta marble finishes. “A classic finish is just that classic with very clean lines with little industrial influence,” he says. Design isn’t static. As designers and architects continue to tweak contemporary design, there is a good chance an entirely new style will be created in the process. Article by Camilla McLaughlin. This story first appeared in Homes & Estates 2017 Edition 4, the flagship publication of Coldwell Banker Global Luxury.